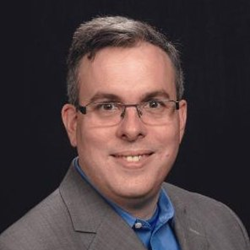 Goliath Technologies, the leading proactive IT operations software company for hybrid IT departments, is pleased to announce the addition of Michael Clark as the company’s new Vice President of Marketing. We are excited to add Michael to the Goliath Technologies team. His ability to align sales and marketing, craft actionable, result-driven marketing strategies, and bring out the full potential of his team will play a crucial part in Goliath's continued growth and success. As Vice President of Marketing, Michael is responsible for overall marketing strategy and execution of marketing and communication plans. He is a member of the management team and provides guidance on market trends and overall company strategic direction. Michael has over 15 years of experience as a marketing leader for global B2B software and services companies and proven success in creating and executing high-impact marketing strategies that drive sales results. Prior to Goliath Technologies, he was Head of Marketing and Communications for CeleritiFinTech, a Joint Venture of HCL and DXC Technology. He previously held key marketing roles at Computer Sciences Corporation, NEC Corporation of America, and Samsung.